Breakfast muffins are one of my core meals on keto. The original version was one of the very first things I ever made. Sure, if you follow me on Instagram you’ll see me posting all sorts of frou-frou breakfasts that look like they took hours to make and use all sorts of exotic ingredients. 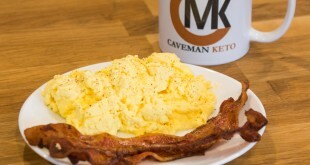 In fact, its a common problem with keto blogs these days that everyone is posting ever more complicated recipes with exotic ingredients that don’t actually help the every day man (or woman). This recipe is none of that. Its cheap, easy, and designed to get you in and out of your meal prep breakfast as possible. Read on to learn the methods I’ve developed over the years to increase my speed and efficiency.